April SUB DAY is here! 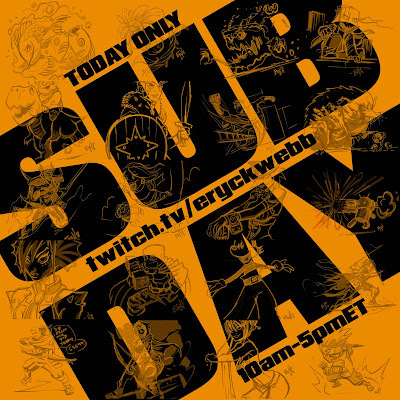 All subscribers to EW on Twitch have the chance to win free drawings all day today! Everytime a subscriber is picked via raffle Eryck Webb will draw whatever they request! Tier 1 gets a 5 minute drawing, Tier 2 gets a 10 minute drawing and Tier 3 gets a 15 min drawing! If you happened to be pick more than once, than good game on you! Have more than one! See folks out 10amEastern Time till 5pmEastern Time today!